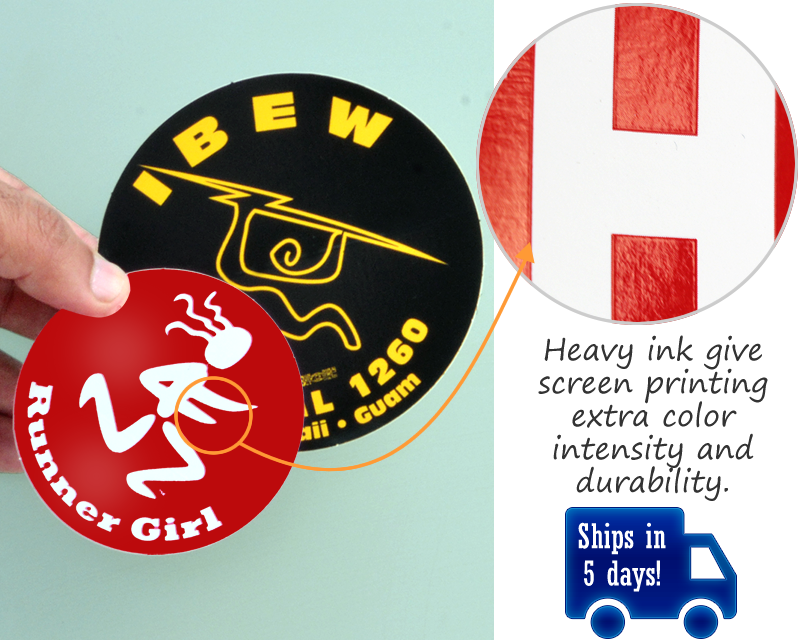 If you want a gorgeous label that pops, screen printed labels are what you're looking for. 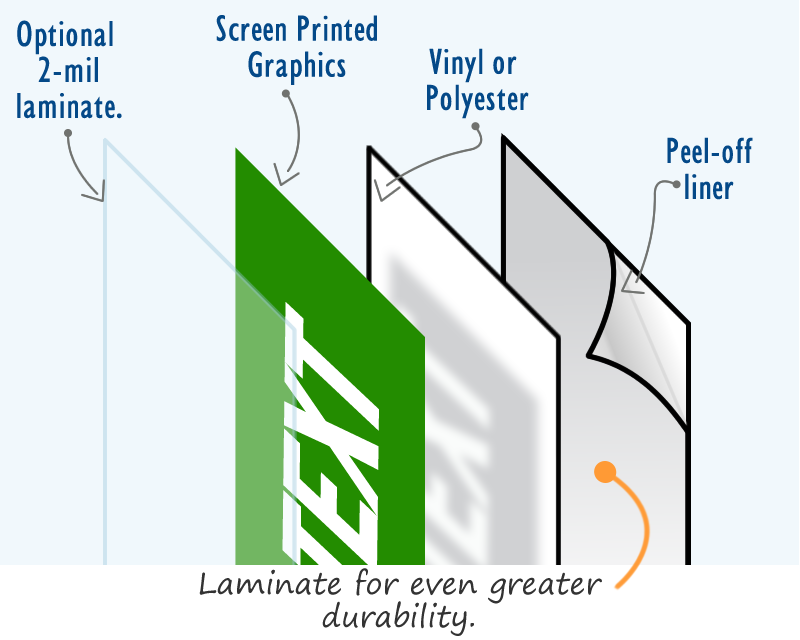 Lays down a thick layer of ink that gives the colors a richness and opacity unmatched by other printing techniques. Durable for over 5 years outdoors. 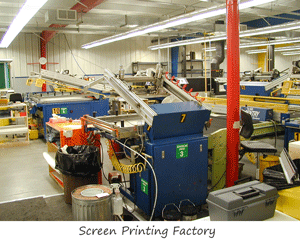 • Screen print label materials include vinyls, static cling - as well as clear and chrome polyester. 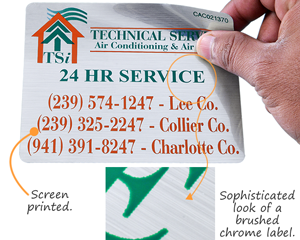 • For textured surfaces, we recommend materials with an aggressive adhesive. 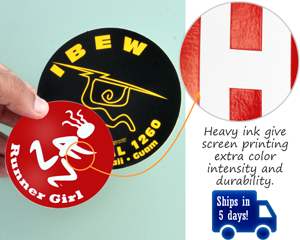 For extra durabilty, add a clear, UV protective laminate to your screen printed labels. 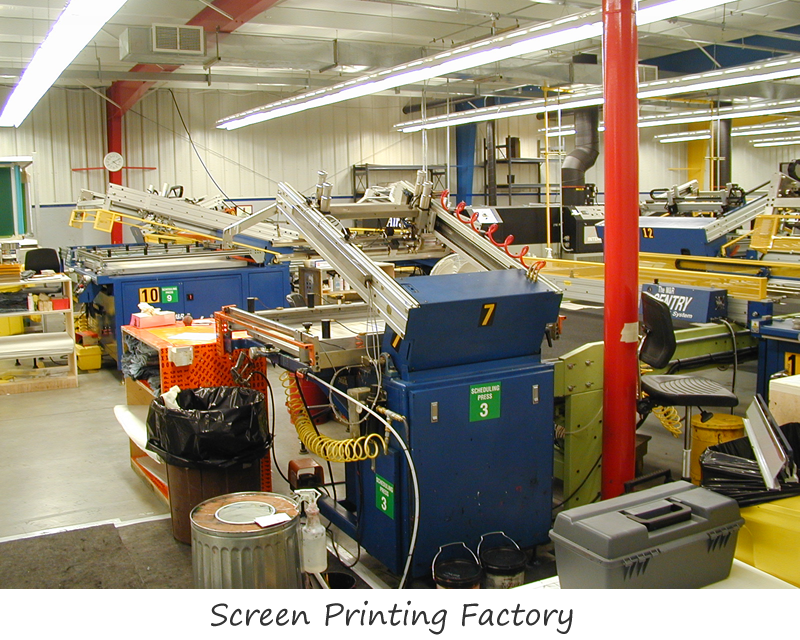 • Digital print is great for process color and short runs, and flexographic print offer your best pricing for large orders. 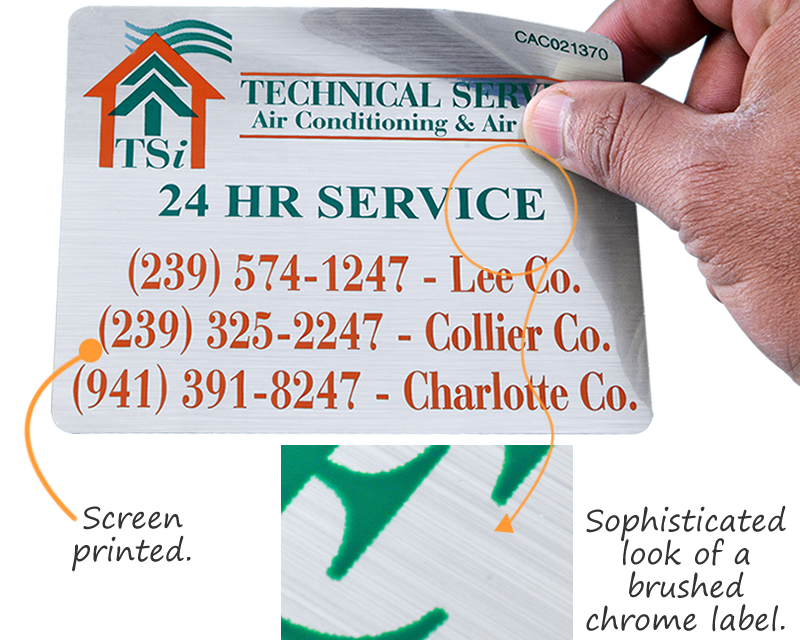 • See our variety of specialized options, organized by application: removable labels, domed labels, metal labels, velvet nameplates, reflective labels and security labels. No label lasts longer. 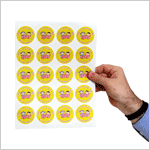 Used by the US Navy for their ships, our AlumiGuard labels last 10+ years outside. 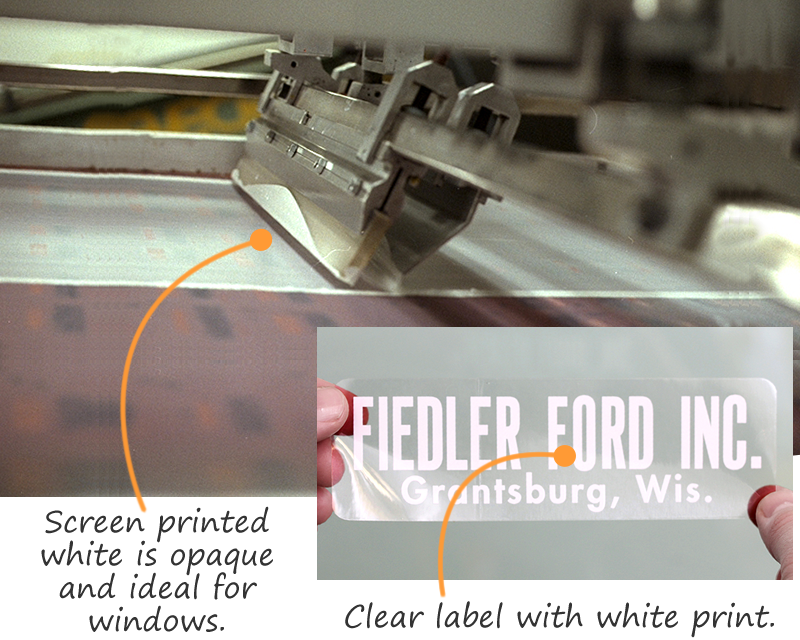 Laminated labels give extra outdoor life. 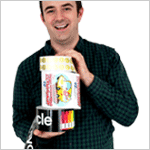 Compare pricing from a range of outdoor durable label types. Durable labels can on the inside or outside of the glass. 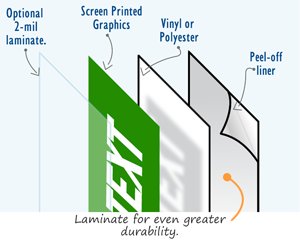 Static cling and clear vinyl – screen printed for durability. For beautiful and bold graphics.